When it comes to this time of year, I find myself giving up hope for the chance of warm weather and begin preparing for the colder months ahead. Great ways to transition into Autumn include jumper dresses and boots. Every Winter season we all search for the perfect boot and every Winter Whistles deliver... if you can afford it! Another transitioning alternative is to wear jeans and a shirt with sandals. 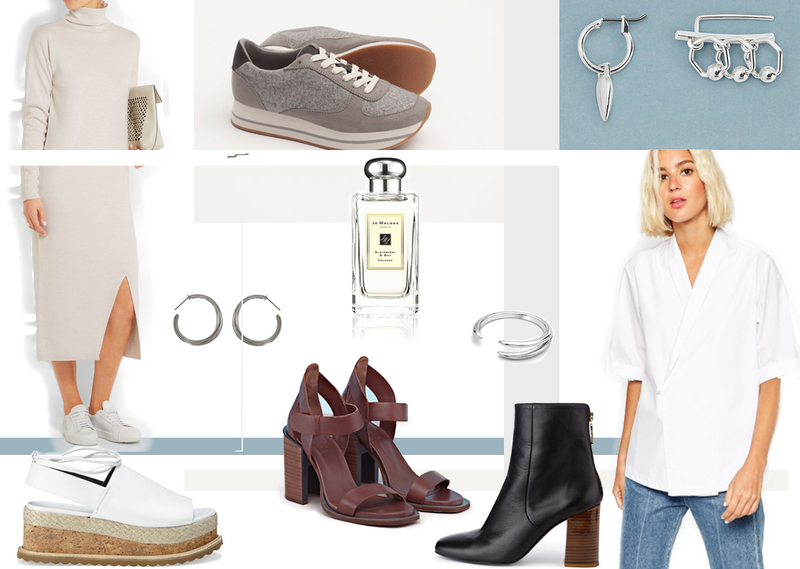 Whistles and Finery are offering up plenty of amazing options but these white cork platforms have been on my wishlist ever since I saw them appear in New In online whilst these Finery sandals introduce a rich brown tone made for Autumn. 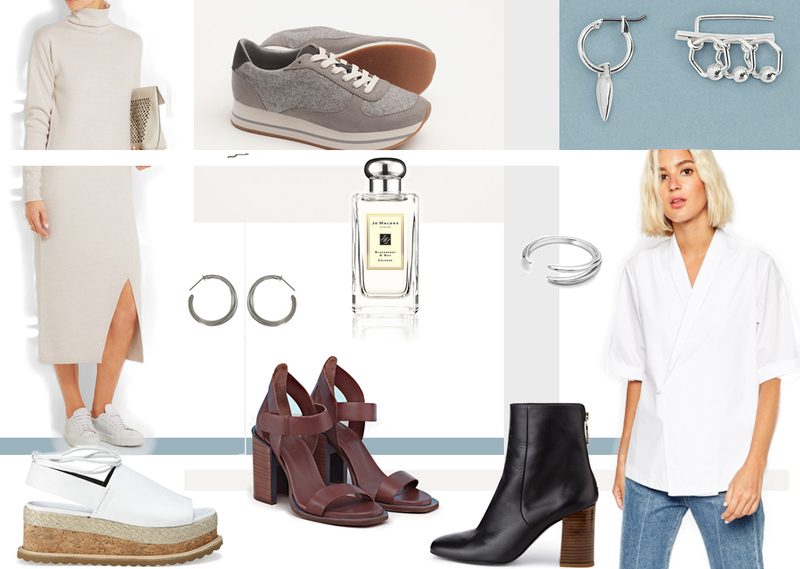 Im currently on the hunt for some new earrings to bring into my accessories collection and a pair of classic silver hoops are timeless whilst mismatched earrings are the perfect way to edge up your look. Finally, who doesn't love to change up their scent for the new season and where better to look than Jo Malone? Blackberry and Bay is my favourite! How do you plan to freshen up your style next season?